You must have heard the name WordPress as it has become popular term across the social media world. I am not going deep into explaining what WordPress is but here is a short introduction to WordPress – It is a free and open source advanced blogging platform & content management system (CMS) developed using widely used server side scripting language PHP & database MySQL. In past it was just a blogging platform available on WordPress.com and then available as open source software at wordpress.org to create websites & blogs. As things progressed for developers of this blogging tool, many features have been added to make wordpress more a content management system. Currently wordpress is most popular blogging & website CMS platform serving more than 60% of websites present on web. Many popular sites & magazines are usingwordpress including like Mashable, TechCrunch, etc. In this series, we will be talking about the wordpress software platform which we install on other hosting solutions to create websites. At the start of my initial wordpress projects, I was not much aware of the security issues resided in core system files. One of my friend’s website was compromised and I helplessly tried fixing it using some of tricks. It was back in 2008. I even could not figure out the reason. It might have had happen due to vulnerabilities in wordpress setup or some loopholes already present in shared hosting provider. Many of us host wordpress sites on shared hosting & we have to rely on their service for security. My first suggestion is to double check the reputation of hosting provider where you are going to host wordpress site. Google about them, read their reviews & whatever updates they have done in past to ensure security for their customers. This is highly recommended. Now after hosting provider, things are all depend on you, how you make the site secure yourself. Hosting providers can only ensure security for their services. But installation should also be tightned so that no one can creep into setup files. 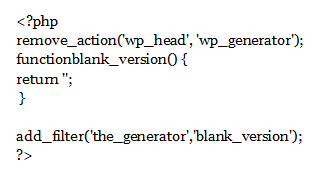 It is highly recommended to add security keys in wp-config.php. This key makes the wordpress installation secure. Security keys are used to ensure better encryption of information stored with user cookies. And you can change these keys any time to invalidate all existing cookies set in browser. We will discuss more hardening tips in next issue of CHMag.